Staff were very helpful and friendly, Bungalows were very clean and tidy on arrival, Very good location to the Ski Slopes,I would 100% return for a other visit. It was alot smaller than id expected. 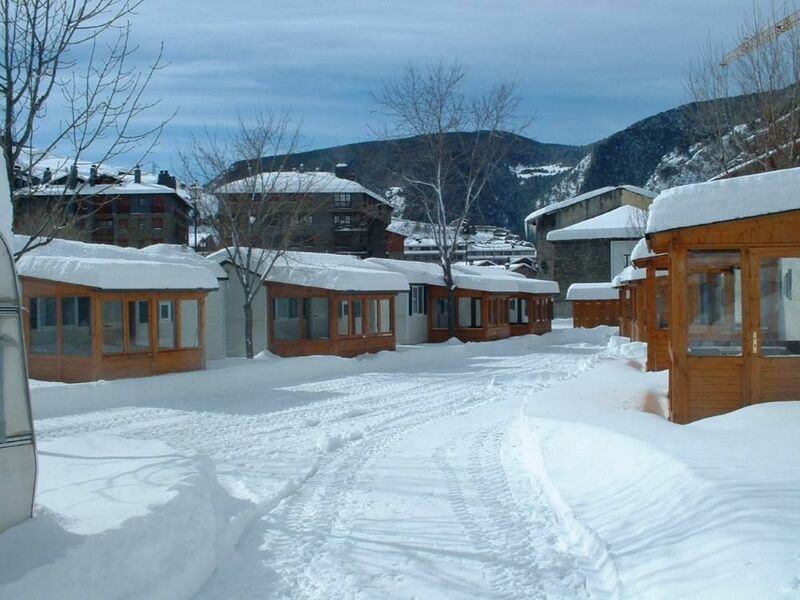 This place is perfect for access to the Gondola, ski hire shop and town. Its clean and considering its small, its well equipped. It does have a twin bedroom but the beds are really narrow. It would only really suit small children. My 15 year old could get in but then not move! The living space is small and there isn't much room for food preparation. There is 1 heater that blows warm air into all rooms but you need to have this on at all times. It can be a bit noisy and rattle. Its only a few mins walk to pretty much everything. Great shower and plenty of hot water. La réception, les mobilhomme sont parfait, ne changer rien. Fue bueno haber estado en este lugar porque era fácil acceder al sistema de transporte.